Crown Equity Holdings Inc. (CRWE) is a vertically integrated, global media and financial services company which provides powerful solutions to enhance worldwide visibility and universal relevance, enabling companies to achieve accelerated growth and rapid results that spans all the stages of a company's life cycles. Crown Equity Holdings is developing its CRWE WORLD (www.crweworld.com) and related digital properties into a global online community which will launch, manage and own select businesses and projects. With our CRWE WORLD Network, we provide advertising, branding, marketing solutions designed to boost customer awareness as well as merchant visibility worldwide. Our services include Blogging, Brand Awareness, Branding Campaign, E-mails, Newsletters Multi Media Presentations, News Distribution, SEO, Social Media, Video Production, Website Creation, Product Launch, Press Release, Fact Sheet, and more. We do all the work and provide a custom made solution. We'll give you a digital presence you can rely on. We provide a full range of consulting services for private and public companies. For those interested in taking a company public, you are in the right place. We assist you every step of the way. Advertise your business online on the CRWE WORLD network. Your company, product, or service in front of the world! Server Maintenance, Web Development, Mobile Application Solutions, SEO Services and more. 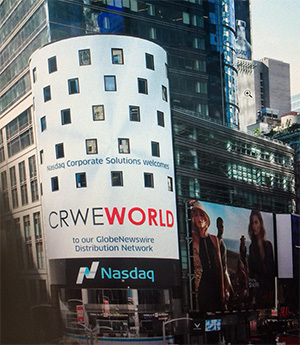 CRWE Press Release ( www.crwepressrelease.com ) offers increased visibility with cost effective solutions for both public and private companies.